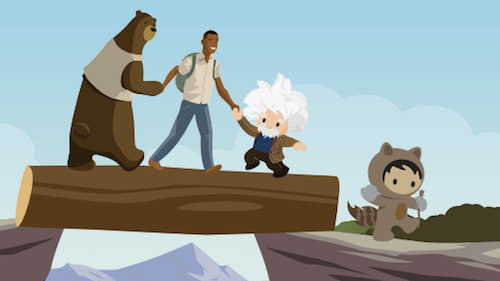 On Cyber Monday, average online discounts hit 31% – the highest all year – and those deals came with free shipping 84% of the time, Salesforce data shows. The traditional day of digital deals, when shoppers once took advantage of their employers’ high-speed internet as they returned to work, retained its power on the retail calendar. But Cyber Week 2018 wraps up with the strong message that times have changed. Black Friday and Cyber Monday are still the stars, but Cyber Week is a whole new show. No longer do online shoppers anxiously check the time on their computer screen’s top right corners until brands release all their deals at once. Why wait if brands will text you deals as you digest on the couch after turkey dinner? The deals came out earlier this year, with retailers posting – and texting – discounts throughout the week. Consumers responded, posting about Cyber Week on social media and shopping on their phones. In a shift from the past, shoppers bought throughout the week, with sustained revenue growth of 15%. Black Friday took the top spot for online shopping with Cyber Monday at No. 2, but Cyber Week revenue took on a new and more balanced shape, not the precipitous spikes of past years. This year, discount rates began to tick up on Wednesday, stayed elevated throughout the weekend, and ended with a bang on Cyber Monday. Cyber Monday saw a record 31% average discount rate – the highest discount rate recorded in the history of the Shopping Index. Marketers enticed shoppers with SMS and email notifications early in the week, up 159% and 26% year-over-year (YoY) respectively on Thanksgiving Day compared to a 69% increase in SMS notifications and 23% increase in email sends on Cyber Monday. But retailers and brands saved the highest rate of free shipping for Cyber Monday. 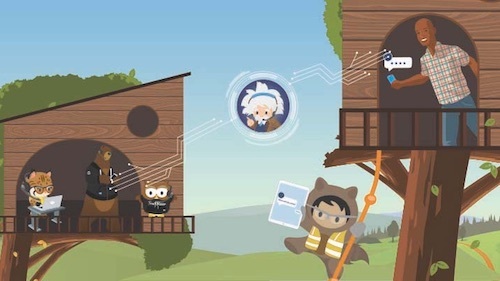 Cyber Monday saw 84% of orders ship for free, impacting average order value (AOV), as shoppers were less likely to add more items to their carts to avoid shipping costs. 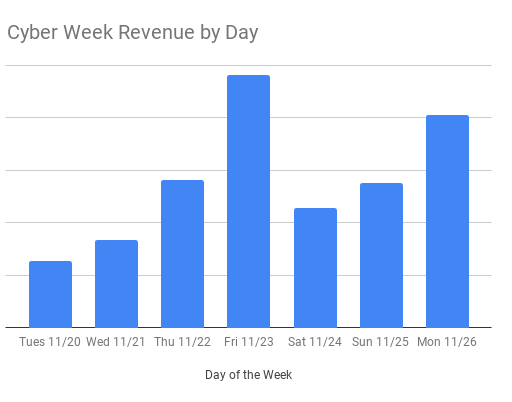 The AOV for Cyber Monday was $102.26 compared to an average $113.28 for the week. Mobile is clearly the shopper-preferred channel no matter what day of the week. More shoppers than ever started their shopping on a phone this Cyber Week, with traffic hovering around 70% for the majority of the week. And more shoppers bought on their phones this year than any other device, with mobile order share the highest on Thanksgiving Day at 54%. While Cyber Monday saw increases in mobile activity, it recorded the lowest rate of mobile traffic and orders for the week. In typical Cyber Monday fashion, consumers went back to work and browsed and bought from their computers. Cyber Monday shoppers returned to their phones after the busy workday, with mobile traffic peaking between 6 and 8 p.m.
Facebook and Instagram are carrying social, with 94% of all traffic to retail sites from these two social platforms, up slightly from 92% in 2017. Social media usage, which peaked on Thanksgiving Day, provided a conversation forum for holiday window shoppers. As Cyber Week deals wound down, shoppers talked about gadgets, big retailers, and – in a crafty surprise – Etsy, the online artisan marketplace. And another marketplace, eBay, cracked the most-talked-about retailers top 5 twice during Cyber Week. 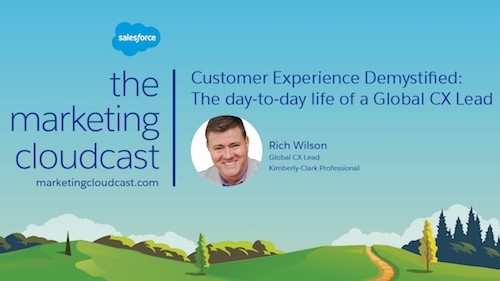 Salesforce data shows that, overall, customer service agents viewed 10% more service cases this Cyber Monday compared to last. But shoppers weren’t picking up the phone. 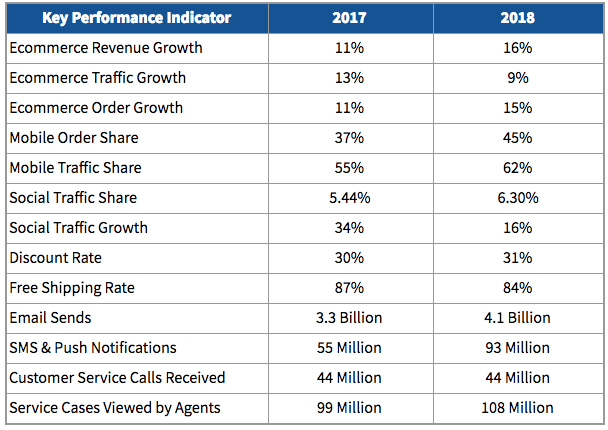 Calls to customer service centers saw a slight decline YoY, as consumers shift they way they engage with customer service centers by turning to digital channels like social, messaging, and chat. 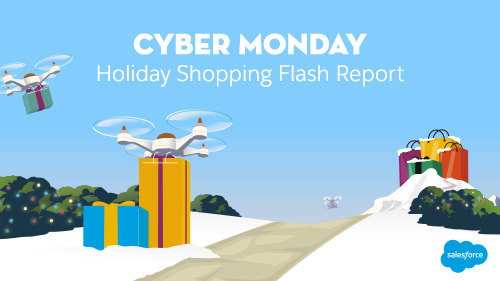 Check out our holiday insights hub for all of our flash reports and Cyber Week coverage. And don’t forget to join us for our next episode of Retail Reality Check, on Facebook Live and Twitter, Tuesday, Nov. 27 at 4 p.m. EST for a live Cyber Week recap with our experts.